The Tuft & Needle Mint bed is an all-foam mattress featuring additives meant to improve heat management. We build every Tuft & Needle with passion, and we sell it at a fair price. Carefully designed, expertly crafted, and conveniently delivered. It’s everything you need to wake up comfortably, and forget you’ve ever slept on anything less. 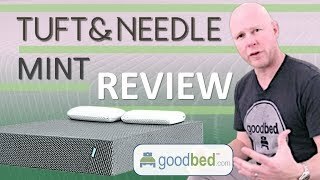 To decide whether Tuft & Needle is the right choice for you, read GoodBed's expert review of the Tuft & Needle mattress or watch our in-depth video review of the Tuft & Needle mattress. 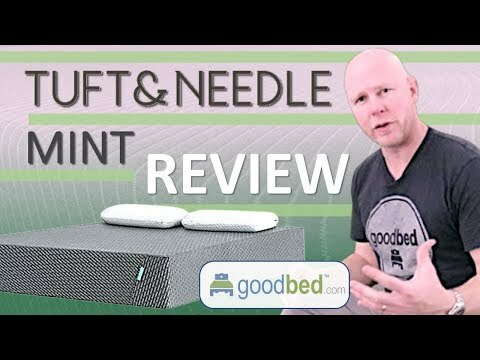 Also read GoodBed's expert review of the Tuft & Needle Mint mattress or watch our in-depth video review of the Tuft & Needle Mint mattress. 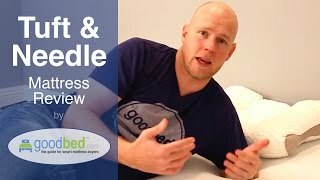 Is Tuft & Needle the right bed for you? Tuft & Needle mattresses are recommended by 60% of owners on GoodBed (based on 643 ratings + 8 reviews). Do you have something to say about your Tuft & Needle mattress? Write a Review! Note: The product line specifications above were derived from the active Tuft & Needle models listed on GoodBed. As a result, these details may not be comprehensive and may not apply to all Tuft & Needle models. If you are seeking specifications for a particular Tuft & Needle mattress, please search for that mattress by name on GoodBed, or check with your local Tuft & Needle dealer. Tuft & Needle is a mattress manufacturer founded in 2013 that is based in Tempe, AZ in the United States. Have an update or correction to our information about Tuft & Needle? If so, please take a moment to suggest an edit. Tuft & Needle mattresses sold by Tuft & Needle come with a 100-night in-home trial. Original receipt is required for returns. T&N products purchased thru Amazon have a 30-day (not 100-day) return policy. Return your T&N for any reason. T&N will cover charges related to picking it up, if needed. Tuft & Needle mattresses are only available online.